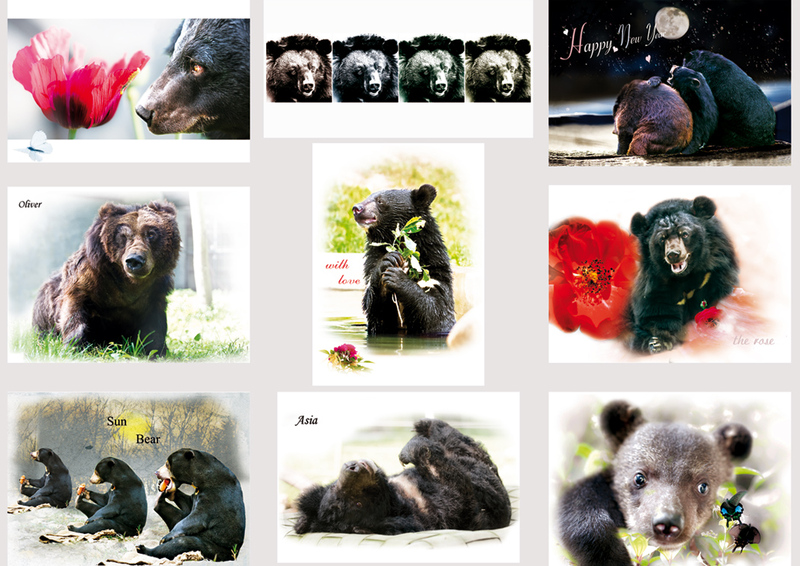 Sepp Häusl has been a supporter of Animals Asia for many years and has done a lot for the bears, including publishing a beautiful picture book which was on sale in Germany. His stunning photos of the bears at the Vietnam and China Bear Rescue Centres can be seen in the Animals Asia wall calendars. I first met Sepp and his partner Monika in May this year and they have since become dear friends. After finding out about our pledge to name a Nanning Bear Sepp decided to create something for us to sell and raise funds for our bear on our stalls and has come up with some absolutely stunning cards. They are now for sale on our stall. Below are all 9 designs, all cards have images inside and on the back as well and will be wonderful greeting cards for those very special people. This is a video Sepp made as an introduction to his picture book. The drop is a recurring feature in his work and represents what we as individuals can do to help the bears – many drops make a river. We have a very limited number of books for sale on our stall as well.